The suspect in a shooting that killed one Oakland firefighter and seriously injured another made his first court appearance Tuesday, and court documents show investigators still don't know why he opened fire. Suspect Oliver Juinio and his public defender urged the judge to remove the shackles Juinio was wearing in a San Jose courtoom Monday. The judge’s response: "Not today." Details of the shooting that killed 30-year-old Jake Walter were still sketchy and troubling. On Thursday night, Juinio approached a group of off-duty Oakland firefighters and shot two of them in the chest at close range, police said. "Based on the initial investigation in this case, it does appear to be unprovoked," prosecutor Lance Daugherty said. "Both of these firefighters were shot without warning and without provocation." Police were calling it a surprise attack. Walter had just graduated from the fire academy and was leaving a music festival in San Jose's Japantown with other off-duty firefighters. Surveillance video appears to have caught the entire shooting, police said. "What a horrible, tragic event this is for the Walter family as well as the people of Oakland and the Oakland Fire Department," Daugherty said. Court security said the reason Juinio was in shackles is because he is considered "aggressive and an escape risk." 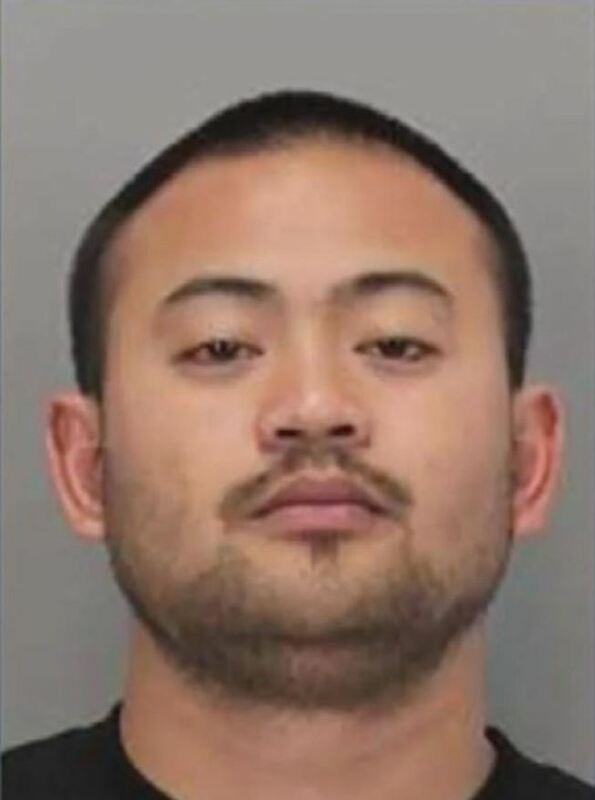 The Santa Clara County District Attorney's Office said Juinio is a three-strikes candidate, and if convicted on all charges, he faces 170 years in prison. Juinio is expected back in court on Sept. 14. The Oakland Fire Department said a memorial service for Walter will take place 11 a.m. Saturday at the Oakland Scottish Rite Center at 1547 Lakeside Drive.